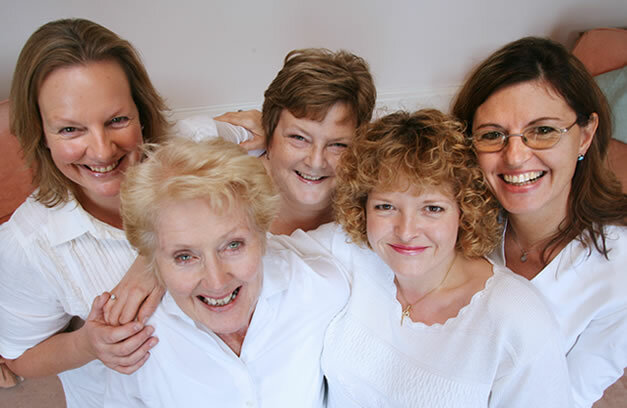 The Pink Ladies was set up in 2001 by several local women who were undergoing treatment for breast cancer and wanted contact with others in a similar position. We called ourselves "The Pink Ladies", drawing on the symbol of the Breast Cancer Awareness Campaign. We are a member of the Association of Guernsey Charities, membership no. 252. At whatever point in your diagnosis, treatment or recovery you find yourself, you may be experiencing feelings of fear, shock and isolation. You may feel that you need someone to talk to about your diagnosis, treatment, or how to talk to your loved ones. We understand the difficulties you may be experiencing and would like to offer our support and friendship at this or any time in the future. You can speak to one of our volunteers in strictest confidence. The number is 07781 415131. Please leave a message if the number is busy and your call will be returned. A library of books on the diagnosis and treatment of breast cancer is available in the Breast Unit at the PEH. There are also books on breast reconstruction, physiotherapy, diet and other related topics, as well as a variety of information books and leaflets. If you would like to talk to someone who has had some personal experience of what you are going through, please ask the Breast Care Nurse to arrange this or contact the Helpline. All members of this support group are able to offer emotional support as well as practical help, information and advice. The meetings are very informal. We hope to provide a safe and freindly environment where women at any stage of treatment or recovery can come and find support from other women. The meetings are held at Le Grand Courtil (formerly Longue Rue House), st Martins, and the dates of the meetings can be found on our Support Meetings page of this website, from the Breast Care Nurse or at the Breast Unit. A quarterly newsletter providing information on the forthcoming events such as talks on conventional or complementary therapy, fund-raising initiatives, interesting press articles or anything felt worthwhile of your attention. Fun events are organised throughout the year on the idea that laughter is the best medicine. Details of these are in the regular newsletters or on this website in the Events section. Breast cancer is a common disease, as we know. Earlier detection and better treatments mean that more women can survive breast cancer. As a group, we feel it is important to participate in local and national awareness raising initiatives. Participation is strictly voluntary. Separate from the regular support group meetings, business meetings are held where those interested plan fund-raising activities. The funds raised are used to improve wherever possible the comfort, care and facilities for local women with breast cancer. Participation in fund-raising is not compulsory.